Inspired by her love of Louis L'Amour heroes, Clover (yeah, that's her real name), packed up and moved to Texas where she found a real live Texan of her own. She's been there ever since where she and Pat (who else would a Clover marry but a Patrick?) have one beautiful daughter and four not-so-beautiful, but extremely handsome and always busy boys. 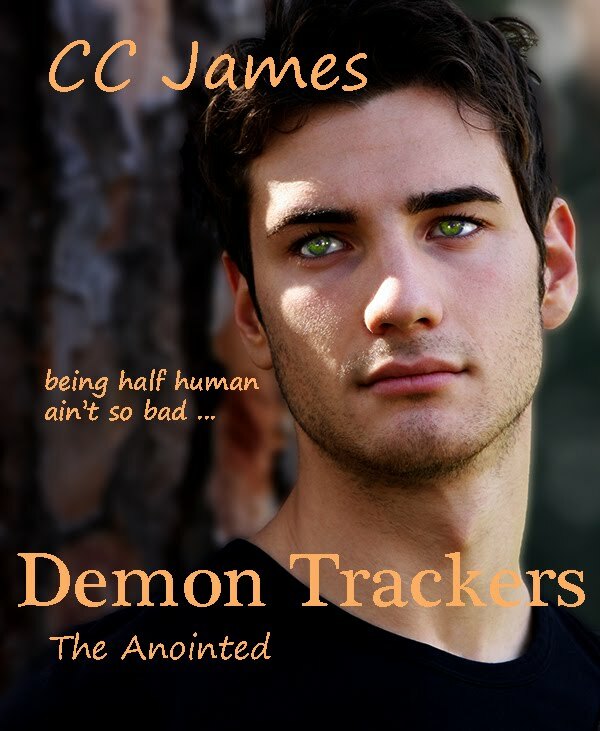 Being half human isn't so bad for demon tracker brothers Jake and Cal, especially when their job is keeping unknowing humans safe from every evil thing that crawls out of Hell. So what if the full-blooded Anointed don't think they're up for the task? 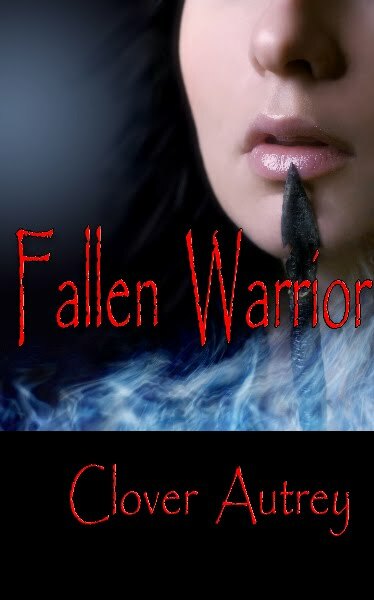 Jake and Cal have lives to save and beasties to kill and lack of sleep, lack of weapons, and lack of trust from the haughty Anointed demon slayers won't keep them from it. As a fealinn elf, Eilwen has a natural affinity to nature, but when one of the temperamental eagles of Gaspar leads her to a deep chasm one of the stubborn Eaglekins has fallen into, Eilwen puts old animosity aside to try and save him. Clover: I was very young, probably nine or ten, when I had the conscious thought that being a writer must be the best job ever. Of course I didn't do anything about it at the time. Clover: I'd love to tell you I have a Masters in English or something impressive like that, but I don't. I've studied enough grammar and writing style books to make my eyes cross, but the best learning experience I've found is to join some sort of critique group. Maybe it's just the way my brain works, but there is something to be said about seeing my work red-penned and all the little writing glitches I kept repeating through other writer's eyes. Clover: What doesn't? I've always been a story person. Creating characters and then getting inside their different heads, trying to figure out how each one reacts to harrowing situations I get to stick them in—what's not to love? Clover: Difficult. It definitely didn't come easy. I actually had a contract with a small pub back in 1995. It was about a month away from going to print. The galleys had all been approved. I had a copy of the cover art, and then the publishing company went bankrupt, the CEO actually served time for embezzlement. It was sad and ugly and disappointing, but in hindsight, that book wasn't ready for publication (even though I thought it was at the time) and I'm glad it didn't go to print. It would have been embarrassing. So I kept plugging away, wrote several more books, improved my craft, kept sending out query letters to agents and editors that got their poor little paper noses scrunched on slamming doors. I attended World Con in 2006 and told myself if I didn't find an editor there, I was going to research small presses. I did find an interested editor and got really close, but ultimately she decided what I wrote didn't have a hot enough heat level for romance. I get that response a lot with writing sweeter romance. That day I sent my manuscript off to two smaller presses and got positive responses from both. 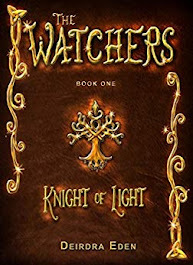 I signed with one and in the fall of 2007 my first book Upon Eagle's Light was published. Clover: Oh sure. As you can see, more than a decade went by before I had any kind of success. I have several manuscripts that aren't worth more than confetti fodder. But I also have a stubborn streak as long as those years and I don't like people telling me what I can't do. My motto: When all the doors slam, go find an axe. There's always another way in. Try something else. Fight for what you want. Learn. If you need to improve, improve. Clover: Writers are supposed to have a schedule? Mine's haphazard at best. Some days I can pump out a couple of chapters with only a few breaks throughout the day, but other days it's all I can do to squeeze out 1000 words. I've set a goal this summer to try and write a minimum of 2000 words every weekday, which isn't that much. For now, writing in the morning while the kids are asleep works best, but once school starts again that will change to writing once they are out the door. Clover: I never know if the book is good enough or even if it is something editors will think is a HOT SELLER by the time I finish it. 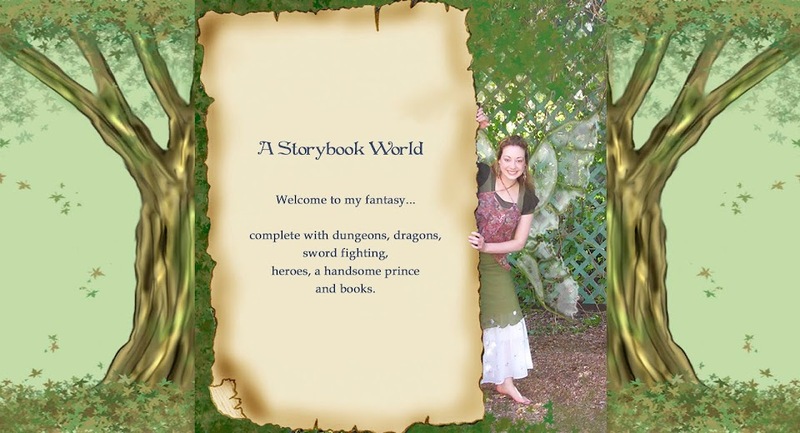 I just write the stories and characters that I want to read about. I figure I'm an average enough person that there's got to be other readers out there on the planet who like the same kind of things I like. Deirdra: What is the difference between indie publishing and small press publishing? Clover: Small press is when you go with a traditional publisher that isn't one of the Big 6 (Harper Collins, Hachette, Simon & Schuster, Macmillan, Penguin, and Random House or any of their smaller imprint companies). The smaller presses generally don't have a huge marketing budget nor will you get a huge advance—sometimes no advance—but you do get the benefit of professional editing, and covers, and the authors will pull together and cross-promote. Indie publishing is shortened for independent publishing. It's really a think-out-of-the-box term for self-publishing. With eBooks outselling print versions, authors are finding it worthwhile to publish with Amazon's Kindle Direct Publishing and Barnes and Noble's iPubit. I know established writers who are self-publishing their back lists to the Kindle, as well as new authors who are having great success. I also have a friend whose third book in her series wasn't picked up by her publisher so she indied it and it's outselling the other two books at Amazon. I have three sweet romance books with a small publisher, which I've been happy with, and learned a few things along the way and now I'm jumping into the new frontier of indie publishing with a new action adventure series. But don't get me wrong, if my agent called today with an offer from one of the Big 6, I'll be jumping around and throwing that confetti I made from my old manuscripts. Deirdra: Can you tell us a little about your experience working with an agent? Clover: My agent and I are at the feeling each other out stage right now. I've only been with her about two months after my first agent left the publishing business for a more stable career. It was pretty devastating because she was such a great advocate and believed so much in my book. She was the first one to take a chance on a little known author. That said, I'm very happy with my new agent. She's so honorable and loyal and truly believes in doing what's best for her authors. Plus she's so well respected within the publishing/writing community, when I tell people who my agent is, I can actually see the cogs in their minds working as they reevaluate my credibility by association. It's kind of entertaining. Clover: Usually only one, sometimes two. My daughter and my sister. Clover: A few hours of enjoyment. Simple as that. I don't have a platform or message that I'm trying to get out to the world. I just like telling stories and going on adventures with characters I like and it thrills me to hear from readers who also enjoyed it. Clover: I'm a huge plotter. I even plot out how I'm going to plot. A character will come to mind first along with a problem. Then I sit down and think through his/her situation, asking all the why's of what's going on with her, how she'd get in this situation, etc… During that process I do a full character analysis, their entire back story, job, nervous ticks, whatever. Most of this rarely gets into the book, but by the time I'm done I know these characters inside and out and how they are each going to react when the bad things start to occur. I also know how it's going to end and all the huge black moments in between. Then all I have to do is flesh it out and that's where the characters really evolve and throw me some curve balls that I get to go re-plot out. Clover: Not often. I think that's because I have it all plotted out before I begin the first chapter. Sometimes I will catch a snag during that outlining process though and will have to stop and think through a situation until it comes to me. That's when my house gets really clean because I throw myself into mindless tasks while I think it through. I have been stuck like that for a few days, but an idea will generally surface after a while. And my house sparkles. Deirdra: What are some good reasons why author's should use pen names? Clover: There's as many different reasons to that as there are writers. A lot of times writers will use a pen name when they switch genres. The best example is Nora Roberts writing her mysteries as J.D. Robb. Everyone knows it's her, but her fan bases don't seem to want to cross over from romance to mysteries. I write my fantasy romances as Clover Autrey and just launched a paranormal adventure series as CC James. Clover: There have been so many people who have helped me throughout the years from a professor in a critique group, who kindly, but forcefully pointed out every single grammar mistake I made, to my RWA chapter president who shoved me and my manuscript—literally—in front of people like Michael Hauge and Margie Lawson to fellow writers who are so supportive and generous with their talents. Clover: I earlier mentioned I do a character analysis for each of my main characters, including the villain. Part of that is asking 3 questions about each character. 1. What does the heroine want more than anything? 2. Why can't she have it? 3. What is she willing to do or sacrifice to get it? When you can tap into the emotions of a character, get to the core of what really drives them deep down, then they become real. Clover: Brandon Mull. He hands-down will always hold a special place in my heart. I had a child with cystic fibrosis. As his lungs failed, the carbon dioxide buildup released into his brain caused terrible headaches that the strongest pain meds couldn't counter. But reading the Fablehaven series did, or at least gave him something else to focus on. Chase got worried that he wouldn't live long enough for the final book to come out so we contacted Brandon and he sent Chase a bound copy of the manuscript before it even went to print. Chase passed away a few months after reading it. When a writer's story has the power to transport a suffering child to another world—that's magic. No one will ever be able to convince me that writing silly little fiction books can't impact lives. Clover: Don't ask me that. I'm dieting right now. Okay, lately I have discovered dried cherries. They have that tangy little pop that is just so good, plus they aren't sticky or a problem eating around my computer. Dang it, my stomach just grumbled. Clover: I've pretty much focused all my talents into this, a one-trick pony. I can't draw worth anything and my singing is mediocre. I'm a good teacher though and hold various workshops (about writing of course). Clover: If you love writing, you won't give up anyway so that doesn't need to be said. Be brave enough to share your work and get feedback. Grow a thick skin and learn from other's advice. Study the art of writing. Join the national organization for whatever best fits your writing and attend the monthly chapter meetings. The resources you gain from these groups about submitting and querying agents and craft you can't get anywhere else. Writers are some of the most generous people on earth and love to see others succeed. 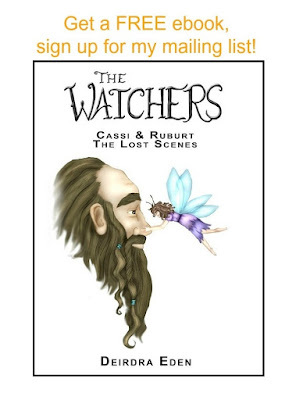 So whether it's the Romance Writers of America (RWA), the Society of Children's Book Writers and Illustrators (SCBWI), Mystery Writers of America (MWA), Christian Writers Association or Guild, or the Science Fiction and Fantasy Writers of America (SFWA)…join. Visit one of the chapters first to make sure they are an out-going friendly group that fits what you are looking for. Clover: I'm in the middle of writing the second book to my newest paranormal series. This one will be titled Banshee's Cry as my own little Hardy Boys take on a, well, I guess the title gives it away. CC James Nook http://www.barnesandnoble.com/w/demon-trackers-cc-james/1103948856 . Clover: Thank you so much for having me here. It's been fun. I'll be floating around today if anyone has any questions they'd like to ask. Thanks Deirdra. Thank you so much, Cover. It’s a real honor to get your insights. Congratulations, Clover. I'm glad you've found another agent and so happy you've got this book published. Thanks Connie. Good to see you here. Awesome interview Clover, and now I'm feeling guilty because I'm reading blogs instead of writing. see you Saturday. Oh, and Deirdra, I love this site. It's soothing yet joyful eye-candy design is something special. Very interesting post, Clover. Love the site, Deirdra. Ladies, I wish you both much success. Keep writing--always--it's who we are, what we are...and why we are. Oh my pals stopped by! Hey Vonnie, Regina, Jen and Jeannie. See what I mean about writers supporting writers. Generous bunch. Love your perseverence, CLover (love your name, too!). I'm so glad you've found your publishing home, as it seems to be a perfect fit! Thank you Traci and Lynne. Nice to meet you. Yep, there's a big Sci/Fan group. RWA also has an online chapter esp. for fantasy and sci fiction (with or without romance in it) that is really top-notch so you might want to investigate them as well. That was a great interview and so inspiring for those of us just treading in the shallow waters of writing. I appreciate the push to go a bit deeper by joining writing groups even though I don't feel I could keep up, so to speak. Great interview! And so informative too. Every author has their own unique experience, but at the same time, there seems to be a common ground with all publishing journeys. Goodluck, Clover, and congrats! The covers btw are gorgeous! J. Kathleen, Heather, and Cherie, thanks for coming by. I think you're right, Cherie, most roads to publication do have things in common, whether it's easy or difficult. This is great Clover! Good to know there are good things at the end of a long road and it's worth the wait! Great inteview, Clover. My road to publication was a bit bumpy too.But you've made it. Congrats! Very interesting interview...especially about picking up and coming to Texas inspired by Louis L'Amour. Great interview with a startling wondeful author. Thank you both for the joy of reading this. Thanks guys for stopping by and saying Howdy . . . and again, thank you Dierdre for allowing me to come chat at your wonderful spot here in the net. Much appreciated!